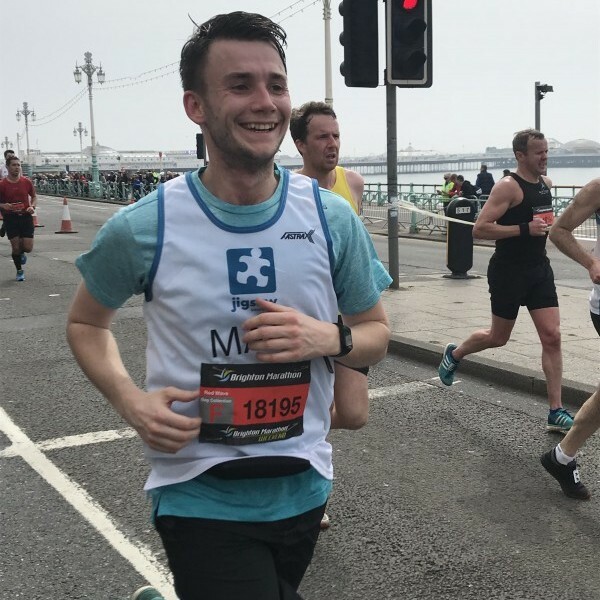 Home News Charity News, Fundraising Five took on the marathon and won! 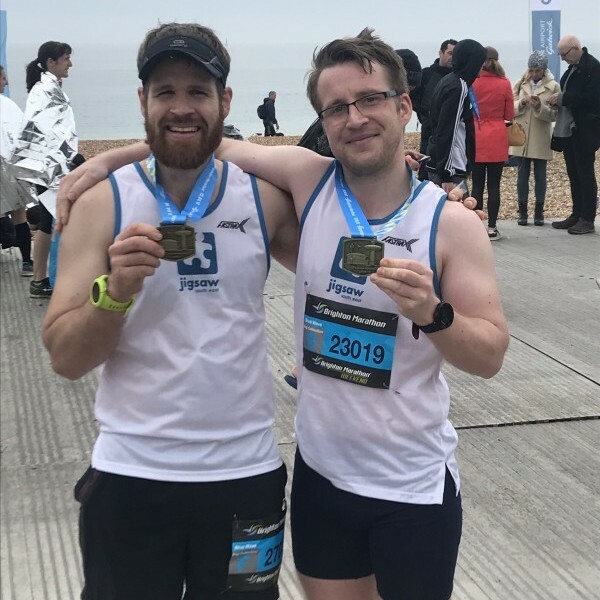 The biggest ever Jigsaw (South East) team all successfully completed the Brighton Marathon on Sunday 15 April, raising thousands for charity. 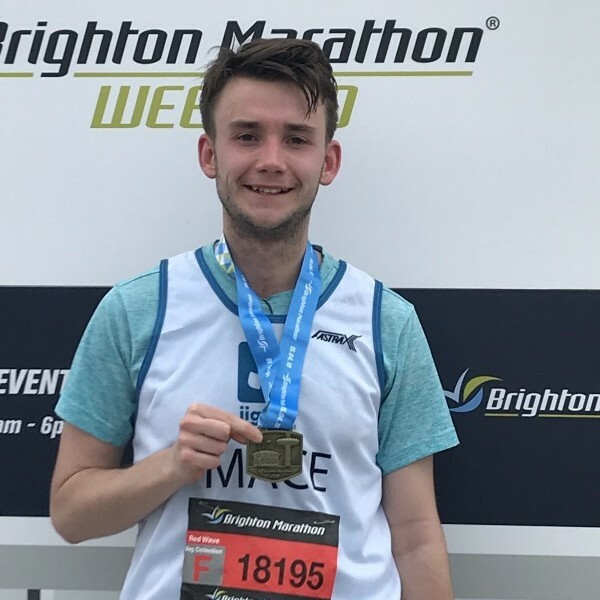 First across the line from the #FabFive team was Matt Mace, 26, who completed his first marathon distance in just 03:22:24 (620th out of almost 20,000 runners) and was running in memory of his mother, who passed away when he was just 15 years old. 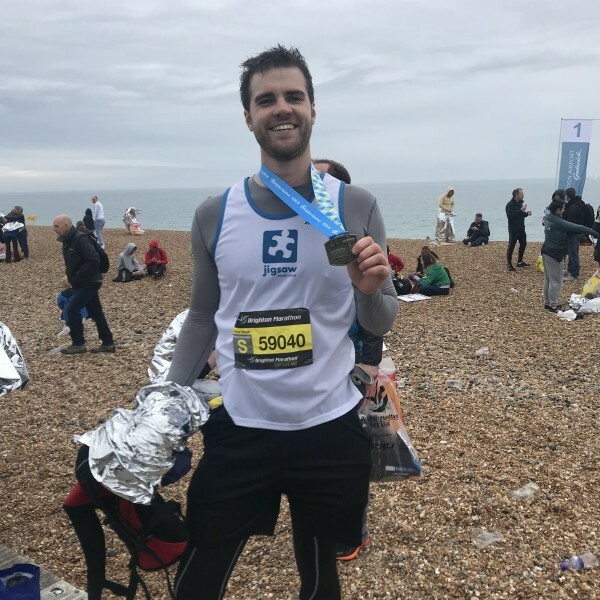 Next to complete the distance from the #FabFive team was East Grinstead joiner Tim Winkley, 30, who claimed his fourth consecutive Brighton marathon finish in 03:41:55. 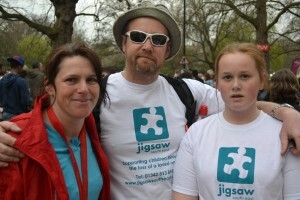 For father-of-three Tim, this was also the second of an incredible three-race challenge he is undertaking for the Jigsaw (South East) totalling almost 180 miles. 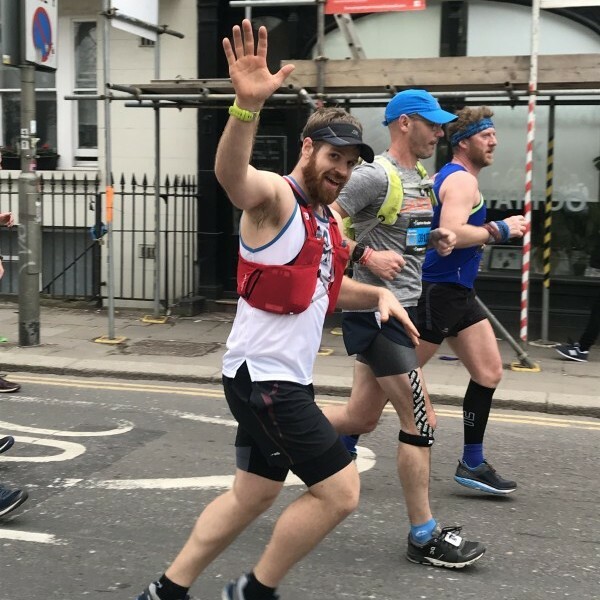 Shortly after Tim came East Grinstead father-of-two Doug Bewley, 33, who also claimed his first marathon distance with a time of 03:48:44. In some ways, his finish was particularly significant as he only had six weeks to prepare, having offered to take up Jigsaw (South East)’s remaining charity place, rather than let it lose money. 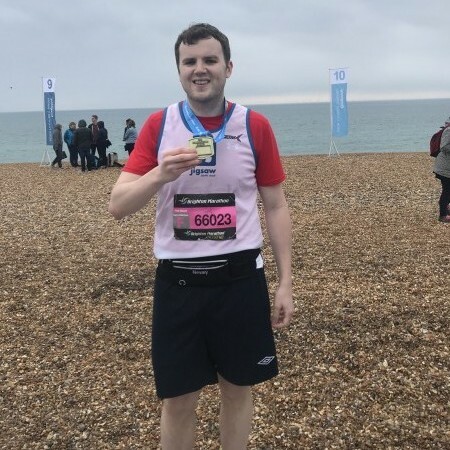 Alex Dunn, 27, successfully completed his first full marathon in 04:36:56 and also has a personal connection to the charity. 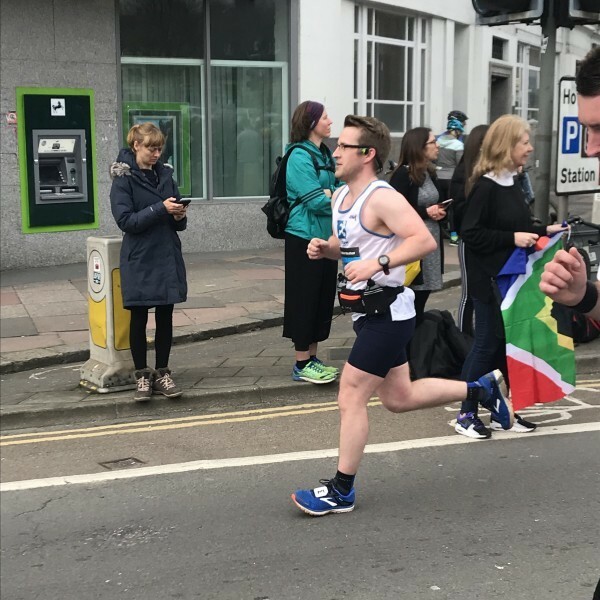 The final #FabFive team member to cross the finish line to claim his first marathon finish was Tony Longhurst, 28, from Croydon. He came in at 04:48:47. 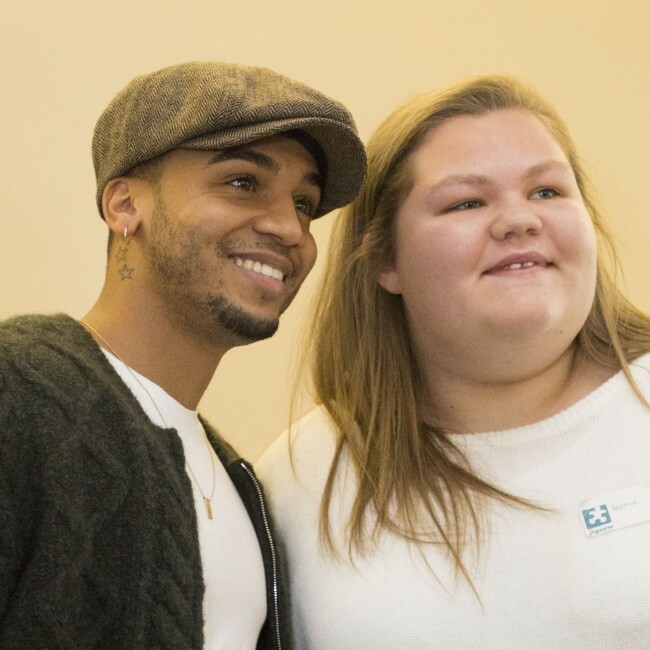 Their collective efforts have raised more than £2,100 – but there is still time to help us support bereaved children and young people and those facing the death of a loved one because of serious illness. 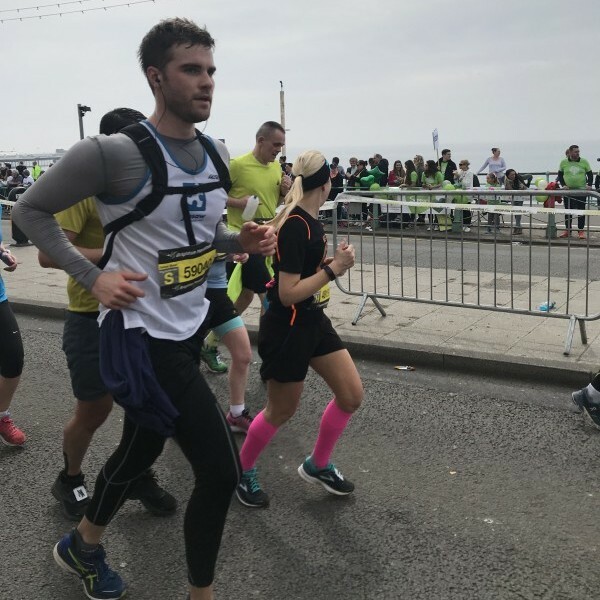 “We are absolutely delighted that all five team members successfully completed the Brighton Marathon – particularly as it was a first for many of them. 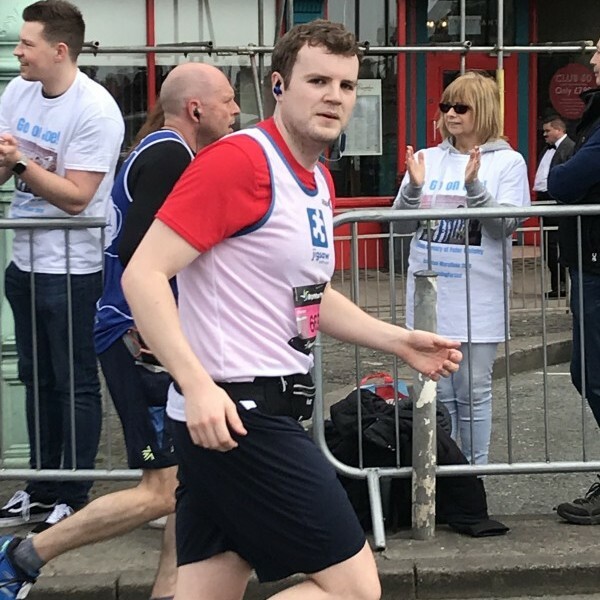 Their dedicated training beforehand and determination on the day have clearly inspired many people and raised vital funds to support our work with bereaved children and young people, and those facing the death of a loved one through serious illness. 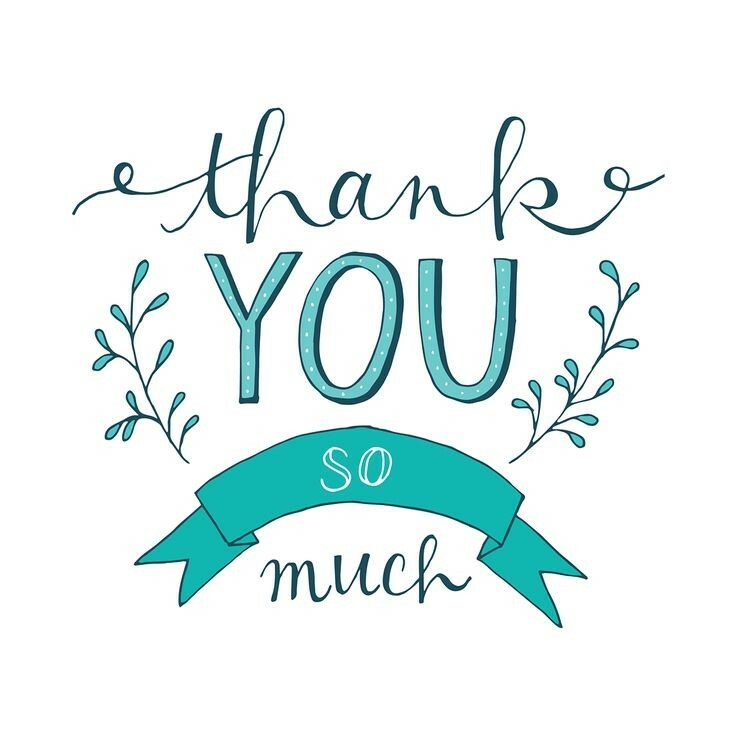 Thank you to the following…. Winter party has two special guests!